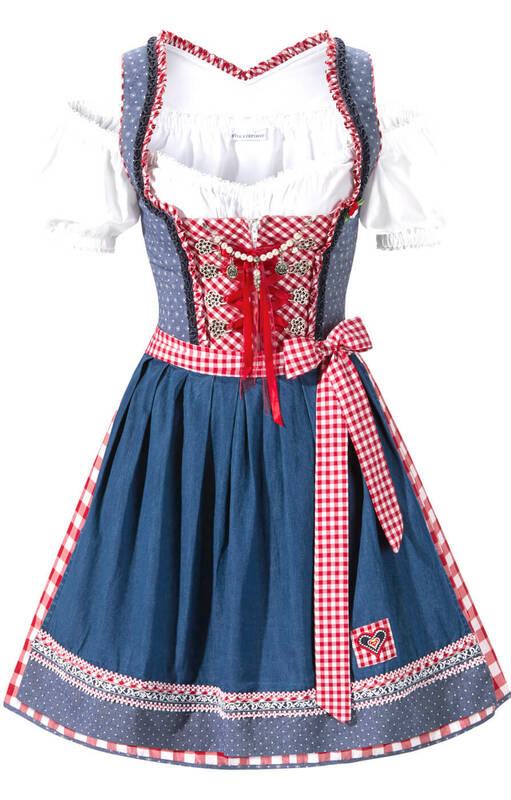 Minidirndl 50cm Polina in Red. 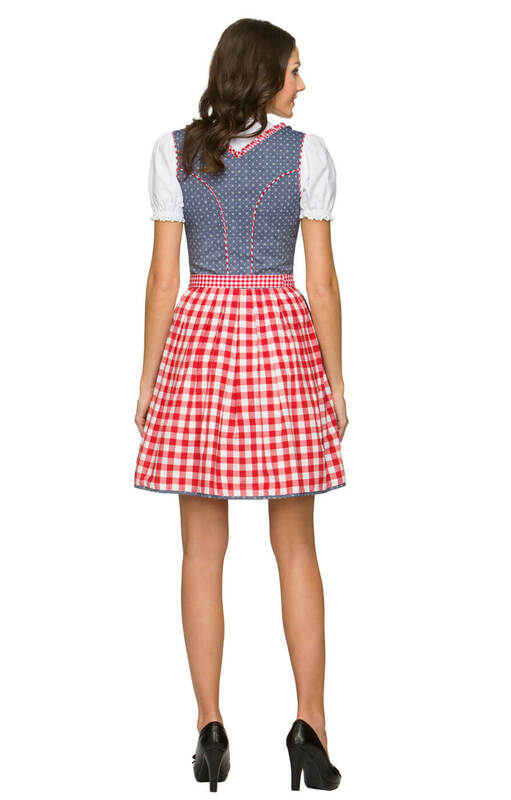 The Polina minidirndl in red works a country and western, rockabilly vibe whilst remaining firmly within the Trachten aesthetic. A skirt in red gingham is topped with a bodice in red check and blue dotted denim, laced with red ribbons threaded through silver bodice hooks and highlighted by pearls. 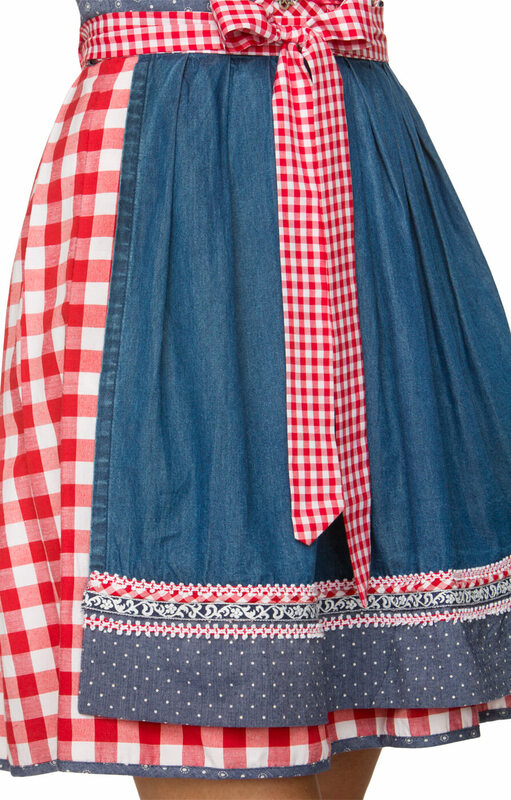 An apron of plain blue denim has a deep border of dotty blue fabric and is decorated with rows of ricrac and braid in red and white and a sash in red gingham. 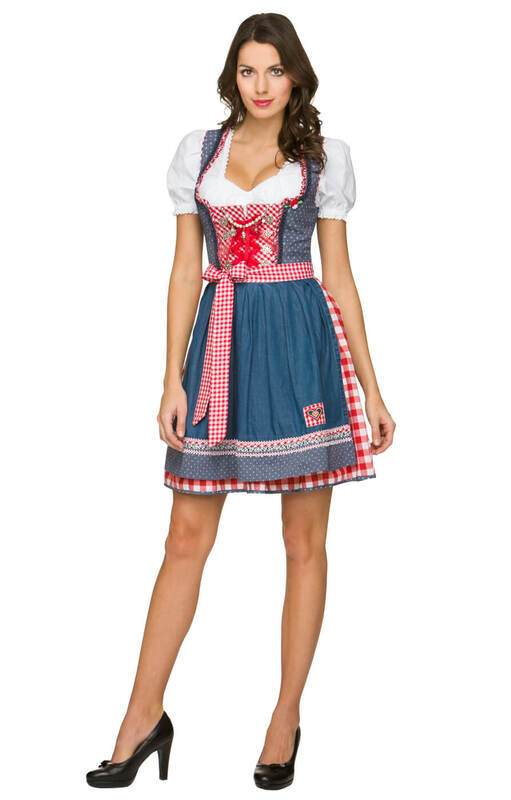 Polina offers a trendy, fun style, perfect for Oktoberfest, festivals and parties.